Growing up, I had a 28-foot round above ground pool with NO walk around deck and NO fence. And because I was the oldest son (and worked at a pool store), it was my job to hook up the manual vacuum and clean the pool every other day. Well, Dad, they are not! But since I don’t have that pool anymore, it’s too late for me. However, if you’re tired of vacuuming your pool the old fashioned way (by hand), you should seriously invest in one of these above ground automatic pool cleaners. Trust me, they are heavenly. 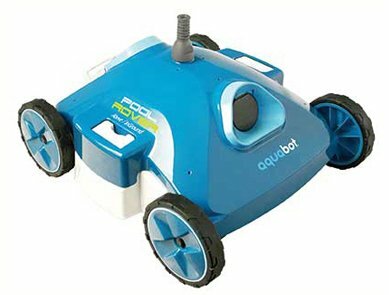 This is the new and improved Aquabot Rover robotic pool cleaner. Not only does it look really cool, but it’s also affordable for a robot that cleans your swimming pool. This clean will work for both an above ground pool and an inground pool. 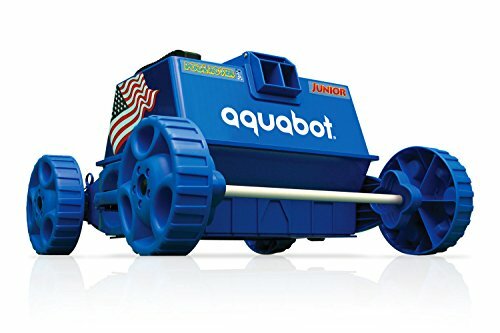 Aquabot is my favorite brand of robotic pool cleaners. They’re extremely innovative and their goal is to provide affordable cleaners that save energy. Gotta love it. For fast, efficient and easy pool cleaning, the Polaris 65 above ground automatic pool cleaner is a great solution. The Polaris 65 pool cleaner is a pressure-side cleaner designed specifically for use in above ground pools. This powerful pool vacuum will sweep and clean the sides and floor of above ground swimming pools and takes just minutes to install. 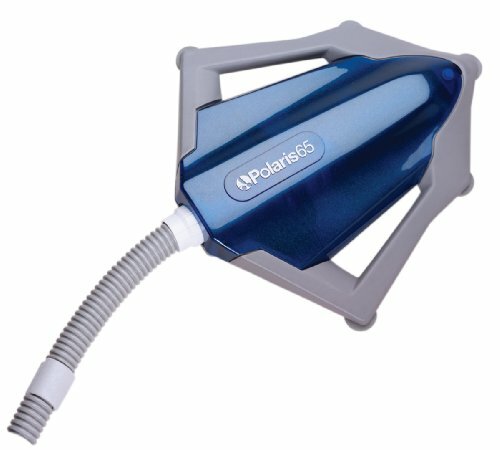 The Polaris 65 automatic pool cleaner features a patented jet sweep assembly which will loosen and remove dirt and debris even from hard-to-reach places. The Kreepy Krauly EZ Vac automatic pool cleaner offers superior cleaning power and remarkable convenience. By removing dirt and debris from your swimming pool with little or no effort on your part, the Kreepy Krauly EZ vac automatic pool cleaner for above ground pools allows you to spend less time on pool maintenance. 4. 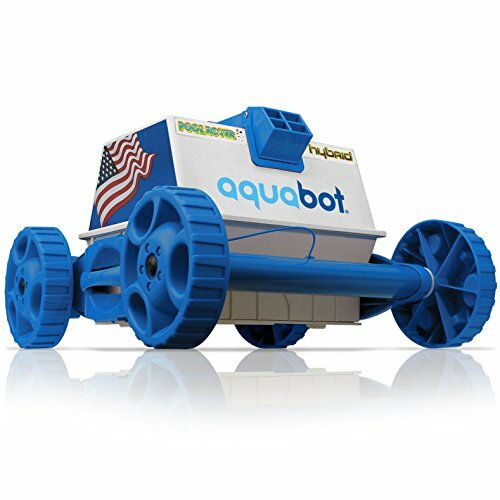 Aquabot Pool Rover Jr.
Aquabot Pool Rover automatic pool cleaner is programmed to methodically clean any size in-ground pool or above-ground pool in less than 3 hours. This completely automatic pool cleaner can clean pools up to 18′ x 36′ and comes with a 40′ cord with floating buoys. Extra-wide polyethylene, non-marring wheels and a wide track chassis allow Pool Rover to roll over rippled and “foot-printed” vinyl pool bottoms. The reusable filter bag removes debris down to 2 microns with a 4 sq ft capacity. Filtration Intake 2 intake valves, 1 in. x 4.5 in. each.Programmable Cleaning Pattern Adjustable, precision scanning via HydroJet Directional Guidance System. Operates on 24 volts and plugs into a standard outlet. The Pool Rover Hybrid incorporates hydraulic engineering and an independent filtration system into one revolutionary above ground pool cleaner. The Hybrid features a direction guidance-locking pin for precise navigation, cleaning floors and slopes of all above ground pools and surface types, filtering large and small debris down to two microns with its 34-quart maximum capacity microfiltration bag. 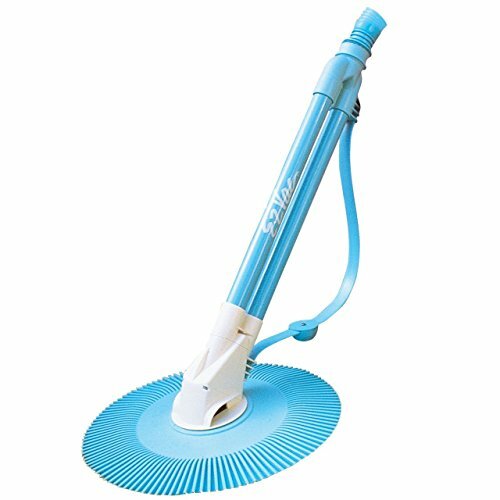 The Zodiac Ranger automatic pool cleaner will quickly and effectively clean any above ground swimming pool, even pools with dished out bottoms up to 72 inches. With just one moving part, the Zodiac Ranger automatic pool cleaner is exceptionally easy to maintain and provides remarkably quiet operation. Utilizing Hayward’s patented AquaBug programmed steering, the AquaBug automatic pool cleaner for above ground pools quickly and efficiently cleans your swimming pool. Plus, the AquaBug pool cleaner for above ground swimming pools installs in less than 10 minutes into your existing filtration system and provides advanced cleaning. Most importantly, the AquaBug above ground pool cleaner is economical so you can enjoy a sparkling pool with pristine water without making a huge dent in your budget. 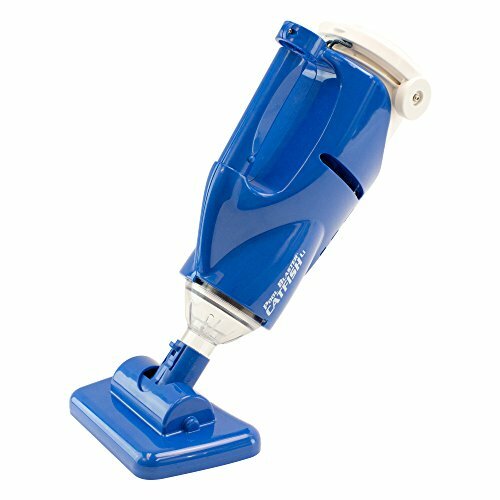 The Mamba suction pool cleaner is designed for all pool sizes and shapes. It works on all sizes of above ground pools and small size in-ground pools. It is effective on tile, vinyl, gunite and fiberglass surfaces. Using the flow created by your filter pump, it can be easily connected to your skimmer vacuum plate to scrub and vacuum your pool and most walls. The dual suction design ensures your pump and filter is never starved for water and helps your equipment last longer. 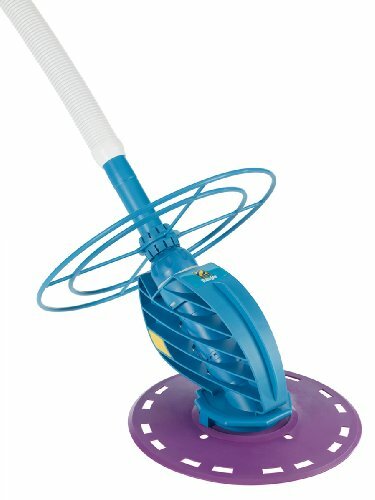 The Mamba cleaner includes a 36-foot hose and a flow regulator. The Pool Blaster Catfish is a versatile, dual function cleaner for large spas, above ground pools and small in-ground pools. Like all Pool Blasters, the Catfish offers the convenience of hose and cord-free operation. 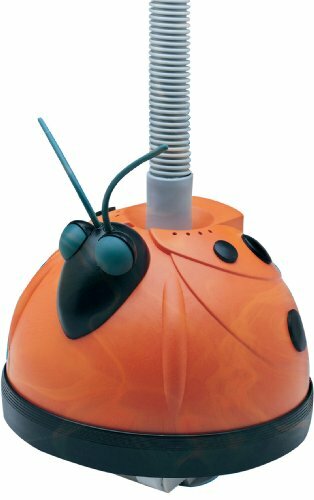 The Pool Blaster Catfish with its High-Flow pump tackles the largest of messes in any above ground pool, spa or hot tub. The innovative quick start button makes this cleaner very convenient and the Max-Cone™ Technology compacts all the dirt so more fits in the bag. The All-Purpose filter bag is easy to empty so hands do not touch the dirt. The catfish simply attaches to your existing telescopic pole and includes a reusable filter bag, spot cleaning nozzle and battery charger. Stallouts. Hose tangles. Frustration. All of these can be solved via Polaris pool cleaner troubleshooting. Learn the easy fixes and get back to swimming! The answers to every question you have—and ones you don't know you have—about automatic pool cleaners. Read this before you make that investment. Gone are the days where you have to manually vacuum your pool. It's not science fiction anymore; you have plenty of robotic pool cleaners to choose from. Polaris is known for quality and cutting-edge technology. What's the best model for your pool? We'll help you choose the right size, and the right price.